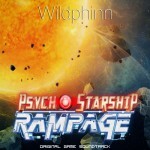 Wildphinn » Vote for Psycho Starship Rampage on Greenlight! The great day has arrived! Psycho Starship Rampage is available on Steam Greenlight and we need your help to make the game available on the platform! But maybe you want to know more – and you’re right! PSR is an indie game developed by a small team of four people in Rennes, France – two coders, a graphist / designer and myself for the music and sound design. It is a space shooter (think R-Type) crossed wit rogue-like elements (think Faster Than Light). You can design your own starship, load it with weapons, shields, and all manners of equipments designed to interact and be combined, in order to destroy your enemies in action-packed levels. Above everything, Psycho Starship Rampage rewards inventivity and intelligence rather than memory and reflexes. A free demo is available! Download it here, but please remember it is still a very early alpha, a “proof of concept” if you will. Lots of development remains, especially, the pace of action will be increased in future releases. Do not hesitate to send your feedback to the team – the devs are very much listening at feedback from the community to make the best possible game. 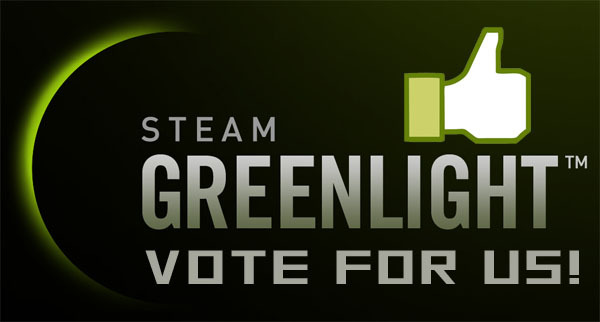 But above all, please remember to vote on Greenlight and spread the word! You can make this happen! Thanks from the four of us!